Between Christmas and New Year, it’s so nice to get outside for a crisp walk & forage, even at zero degrees. 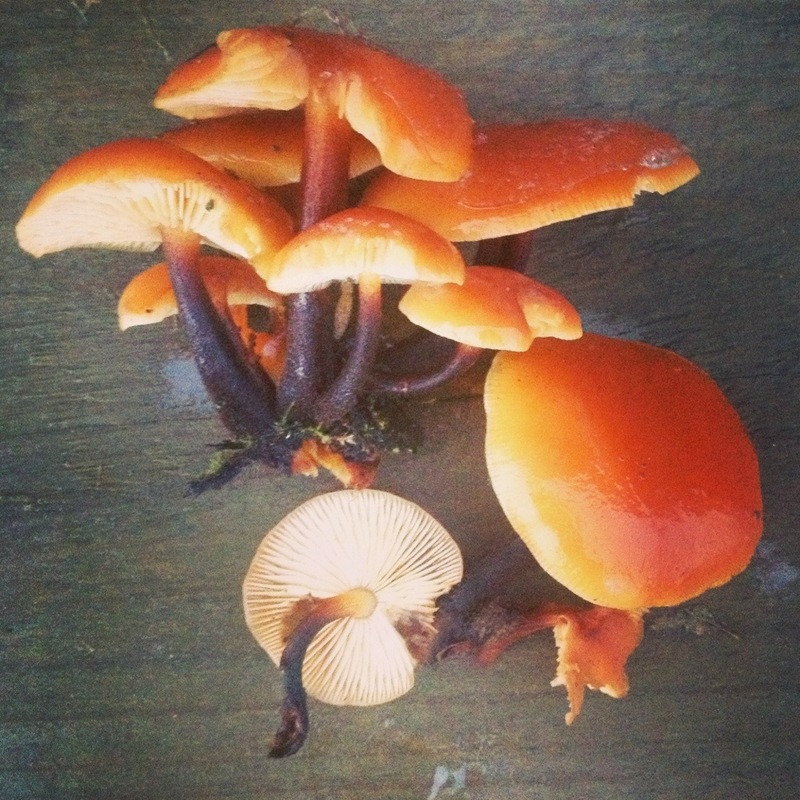 Today I found some velvet shanks (Flammulina velutipes) edible mushrooms. They are cultivated in Japan as enokitake. There were just a few here, enough for an omelette, growing on a fallen branch. They like hardwood trees such as beech. If you catch them at the right time you can harvest several feet at a time. They survive a light frost fairly well but catch them before extreme temperatures. You can find velvet shanks in the cooler months from November through to February. One of the most notable features is their black woody stems which are too tough to eat. I don’t think I’ve seen these here. We’ve had a lot of snow and cold already so I’ve put these in my notes to look for next fall.